One of our artists, Jacqueline Fox, featured in article in Detroit News!! Mention in Crestview Neighborhood Newsletter! We were excited to see that we were mentioned in the Crestview Neighborhood Newsletter! "Oh, The Places You'll Go! Art For The People 1711 South 1st St. Two words for this gallery: refreshingly unsnooty. Their website (artforthepeoplegallery.com) and online store are almost as lovely as the real thing. 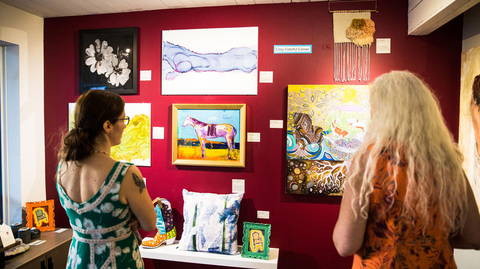 The current exhibit showcasing Austin talent is called, 'Wet, Wild, & a Wee Bit of Whimsy', through Saturday, Oct. 20th. 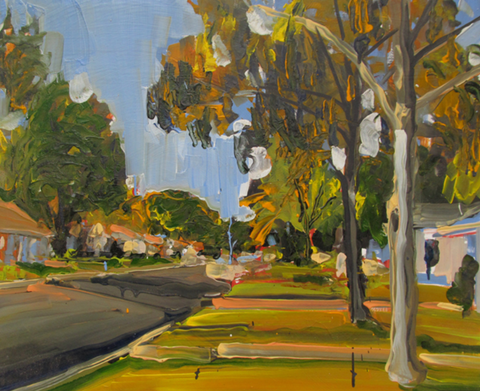 The next group exhibition is themed, 'Let's Take a Walk'. Open call for art will begin sometime in September. Business Manager and Art Director, hallie Rae Ward is passionate about creating a space that celebrates creativity and promotes Austin's artists." Shout out by the Austin Chronicle for Wet, Wild, & A Wee Bit of Whimsy! 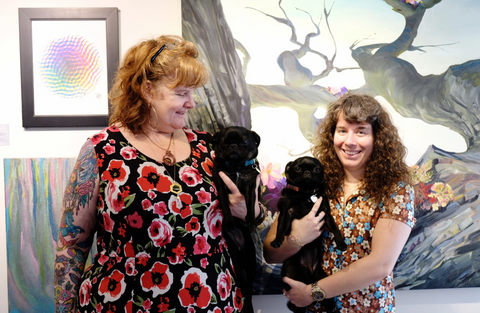 The Austin Chronicle did a nice shout out for exhibition, 'Wet, Wild, & a Wee Bit o' Whimsy'! "More than 60 locals supercharge the walls with their creations for this show at the fierce gallery on South First. 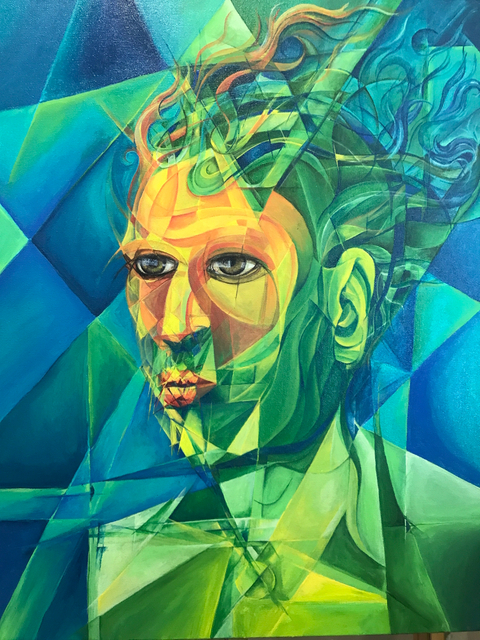 We really like the art of Chris Celusniak, Laura Lee Romaine, Hallie Rae Ward, and Rakhee Jain Desai, for instance – and that's just four of the pigment-happy crowd here." Huge thank you for The Creative Admirer for coming by and interviewing us here at AFTP! To see the full interview, click HERE! 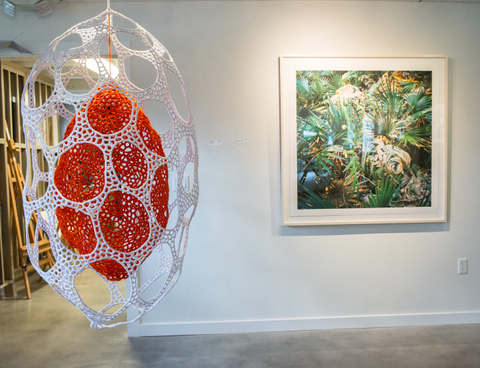 Mentioned in article in "Manhattan Arts International"
We were honored that Austin artist and writer, Shan Fannin, wrote an article about "Buying Art From A Gallery" and included advice by Lynnie Goodman, our Creative Director and Artisan Market Maven! Mentioned in Austin American-Statesman "Seven Days, Seven Things To Do"
We are honored to have been mentioned in the Austin American-Statesman on their list "Seven Days, Seven Things To Do" !! Huge Thank you! 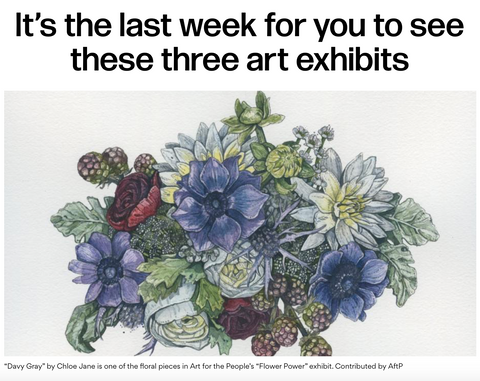 Featured in Statesman "It’s the last week for you to see these three art exhibits"
We are honored to be featured in the Austin American Statesman in "It’s the last week for you to see these three art exhibits". Our artist, Chloé Jane's artwork is featured as the image! Check it out here! 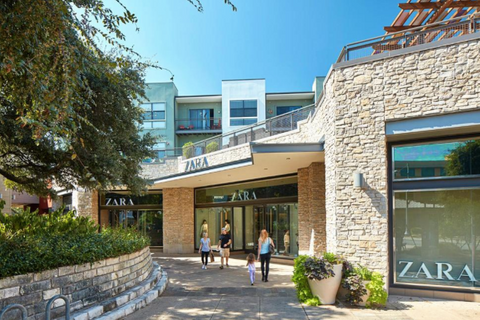 U.S. News & World Report came out with an article on July 11th, 2017 called "5 Great Austin Shopping Spots" and we were mentioned in the South 1st St. section! Huge thank you for U.S. News & World Report for including us!! We are honored that Sam Anderson - Ramos wrote this wonderful article on our exhibition, "ART for All + ALL for Art". 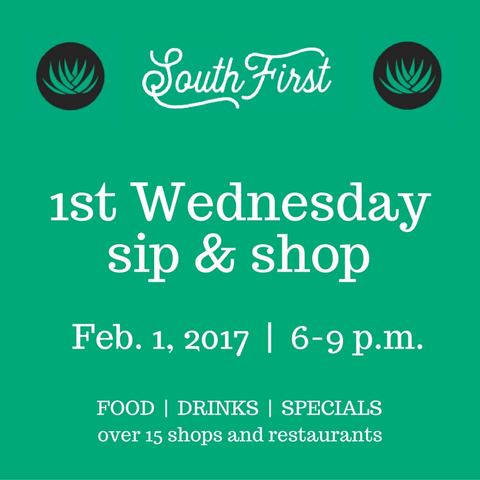 We were very excited that Community Impact reporter, Marie Albiges, came by Art for the People to learn more about First Wednesdays Sip & Shop! 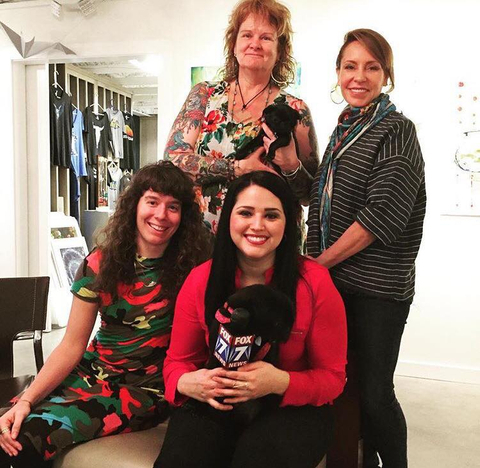 Art for the People was on the news with Tania Ortega on FOX 7 on Friday, January 20th, the morning of the opening reception for ART for All + ALL for Art. We had a great time with part of the FOX 7 crew! We are honored that Susi Brister and Dameon Lester: Fuzzy exhibition was chosen as one of the "WEST PICKS" this year for the WEST Austin Studio Tour! Thank you Jill Schroeder, owner of Grey Duck Gallery, and Joel Sumner, board chair of Art Alliance Austin, for choosing these artists and this exhibition! "Scratching Surfaces", Glasstire article feature! 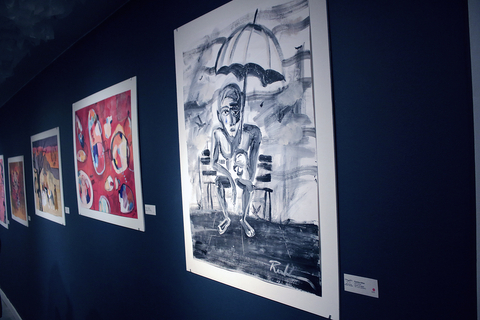 Jean-Pierre's exhibition at Art for the People Gallery was featured in an article on the Glasstire website! One of our Market Day vendors, Painted Love Kicks, was featured on Studio 512! She mentioned our future market day in December. Thank you, Painted Love Kicks! Featured in "Art Spots with the Austinot"
We were honored to be mentioned in the "Art Spots with the Austinot" in fall of 2015. Check out this link with the video episode!